The EU is still facing major political divisions over the response of the bloc's member countries to the mass influx of immigrants and asylum seekers, which kicked off in 2015. Austria does not plan on receiving any of the 450 migrants who have disembarked in Sicily, the country's Chancellor Sebastian Kurz pointed out in his letter to Italian Prime Minister Giuseppe Conte, according to the Austria Press Agency, which obtained a copy of the letter. In the letter, Kurz allegedly cited the fact that in terms of population, Austria has accepted more asylum applications than "many other EU countries" since 2015. The letter came after Italian Prime Minister Giuseppe Conte had written to all EU members and urged them to accept some of the refugees who were rescued from a boat in the Mediterranean by two vessels from the EU's Frontex coast guard and border patrol authorities. With Spain, Portugal, France, Germany and Malta each offering to take in 50 of the 450-strong group, Czech Prime Minister Andrej Babis rejected Conte's request, warning that relocating the refugees may "lead down the road to hell." 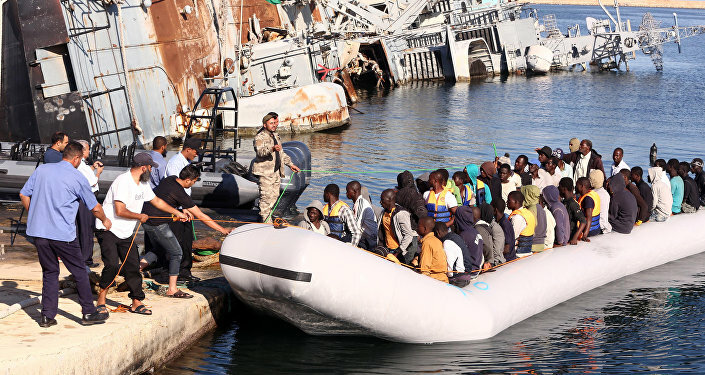 Earlier, Italy's new government was engaged in a row with France after turning back the Aquarius migrant boat, in a move that prompted harsh criticism from Paris, as well as several human rights organizations. After Conte's meeting with French President Emmanuel Macron, the parties announced that the end of the spat and pledged to find a new way to deal with the issue. Conte has repeatedly said that Italy is unable to take all the refugees, refusing to address the issue of the migrants' secondary movements until the pressure on Italy, the country most exposed to migrant arrivals, was resolved. The Italian PM's previously presented 10-point plan specifically stipulates the creation of "international centers" that would screen asylum requests. It also seeks more EU support to help the Libyan coast guard better patrol its coasts for departing migrant boats.